Years ago, a picnic basket brought two hearts together. For Rachel and Mike, history may be about to repeat itself. Rachel Fisher is devastated when the young man she’s loved for years leaves her to date her best friend. Her heart is broken, and she has all but given up on love. Rachel is determined to keep her mind off the pain, and she starts teaching at an Amish school for children with learning disabilities. Since his father became ill, Mike Lantz has been overwhelmed with the responsibility of providing for his family and caring for his six-year-old brother, John. When John joins Rachel’s class and she learns that his mother is deceased and his father sick, she desperately wants to help the family, even with something as simple as a meal. With her parents’ old picnic basket, Rachel begins sending food to the Lantz family. As the weeks go by, John’s grades start to improve, and the attraction grows between Rachel and Mike. They can’t deny that their friendship is growing toward something more, but both of them are hesitant to risk a more serious relationship. The last thing Rachel wants is another heartbreak, and Mike is worried about providing for his loved ones. Will the two be able to reconcile their past hurts with new hope for the future? 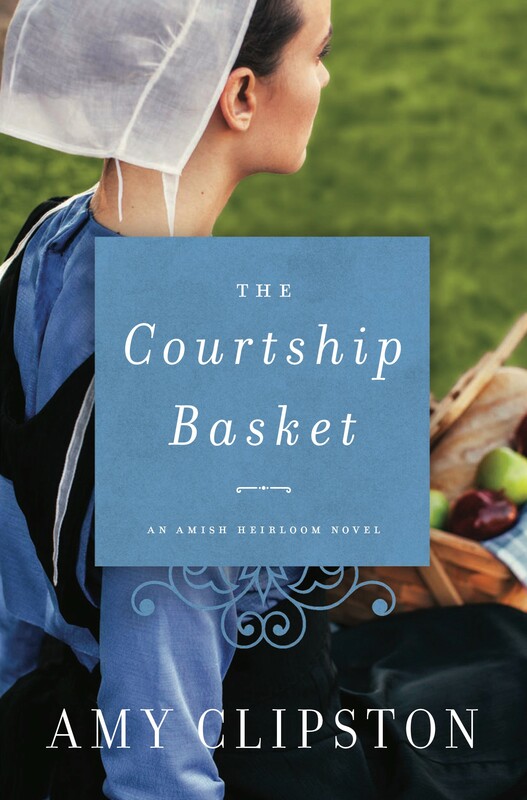 The Courtship Basket is a book that’s very close to my heart. The story touches the topic of kidney disease, and my husband, Joe, has had two kidney transplants. Joe received his second transplant through a swap, where I donated to someone and Joe received a kidney in exchange. I dedicated this book to Nyeisha and Eric, who were part of our kidney donation swap. Both Joe and Nyeisha struggled with kidney disease similar to how Raymond Lantz does in the story.